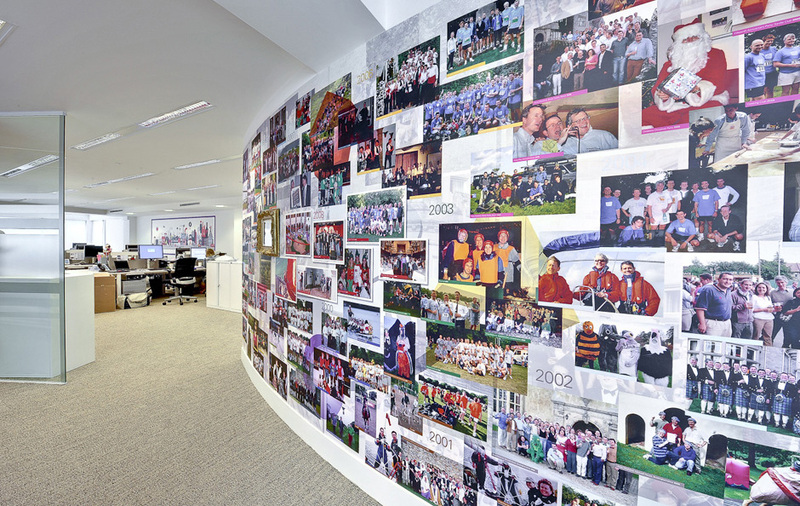 We scanned 90 original images and created a Wallapeel™ montage that allows us to remove the graphic and replace with a new one as they add more photographs on a yearly basis. 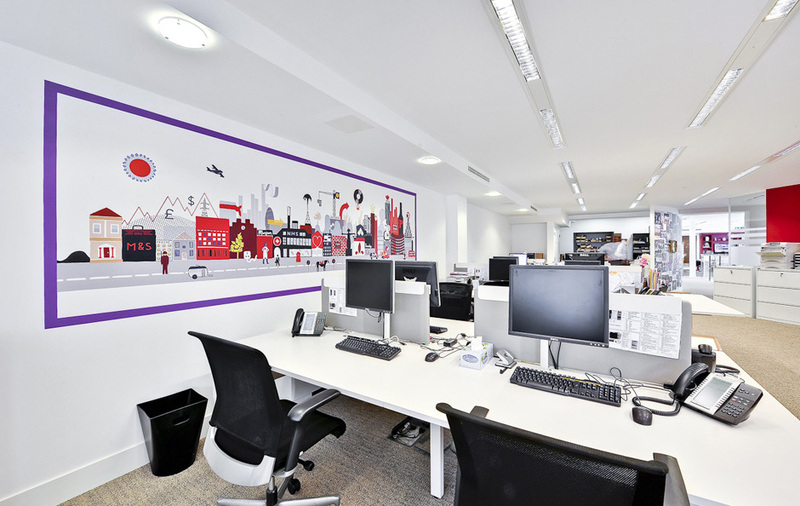 Radiant Print Glass and Wallapeel™ illustration created for the this London based management consultancy’s offices. Design by The Berkeley Partnership and Ltd.
Just wanted to say thank you so much for the wal, it looks brillaint and the guys who fitted it were great, honestly could not recommend you guys highly enough. 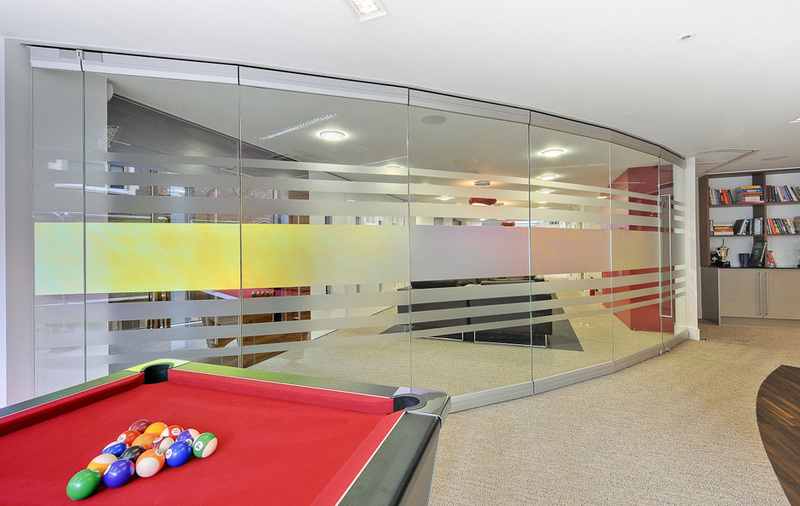 The service from initial design to install has been seamless and the process made very easy for us. – Matt Robinson, Operations Manager, The Berkeley Partnership LLP.